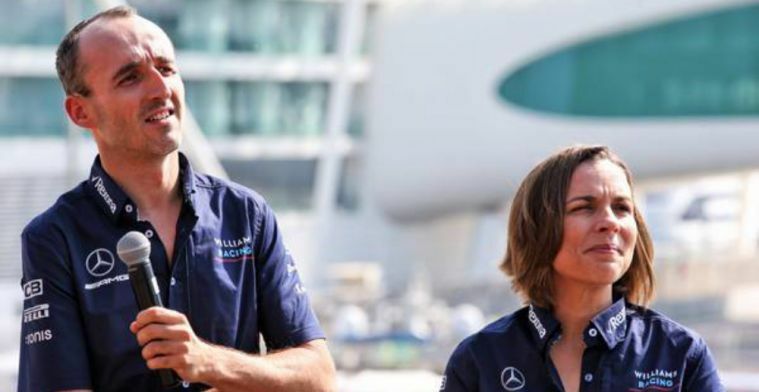 Williams Racing deputy team principal Claire Williams believes that the team will have to "wait and see" as to whether they can bounce back from a dismal 2018 season. The Grove-based team slumped to their worst-ever finish in their history, recording just seven points all season. Although the team identified several areas in need of drastic improvement ahead of the 2019 season, an all-changed line-up of rookie George Russell and the returning Robert Kubica might not spell the immediate turnaround they are hoping for. Speaking to RACER magazine, Williams outlined that the team would be keeping their feet firmly planted on the ground and that expectations were very much realistic heading into the new season. "We’re pretty happy that we have resolved some of the key issues that we had last year. But our recovery is still very much a work in progress. "We’ve obviously had the plan that we’ve put in place around car development that’s been ongoing for a while now. That’s been going I think probably as we would expect. “I think it’s a case of we clearly have got to wait and see until we get to testing to see what everyone else is doing. It’s quite difficult to judge the progress we’re making at this point."